JUDGING BY THE FACES OF THE MANY WHO TRY – AND FAIL – ON THE KEYLOCK, THIS APPARENTLY SIMPLE OBSTACLE IS CLEARLY QUITE A CHALLENGE! It’s seems easy enough in theory – progress along the underside of the keylock track using a pair of keys that are inserted into a keyhole and twisted to lock them into place, then disengage one key to reach for the next keyhole. 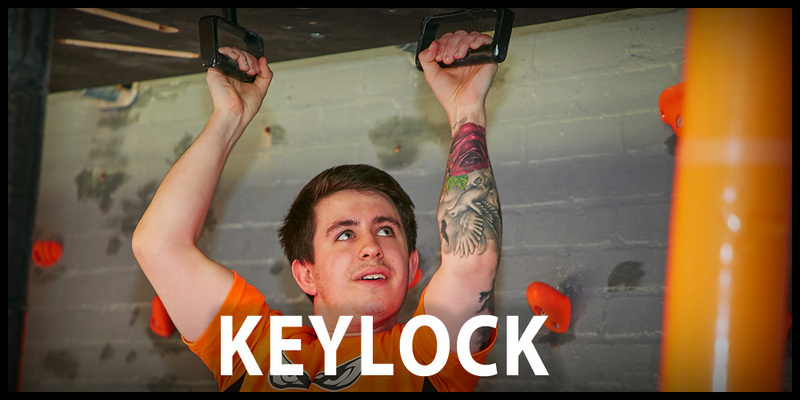 In practice the strength and accuracy required to successfully traverse the keylock track seem to be in fairly short supply… Come and give it a go!